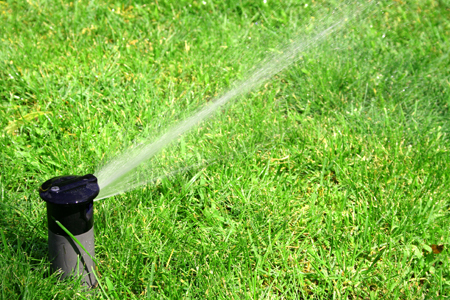 Keep your lawn healthy while saving water and practicing efficient water conservation. Modern irrigation systems do all of this and more. At RainMasters, we provide the latest technologies. Our team will design and install a system that's perfect for your property. Every property is different, so we begin the design and installation process with a consultation. There are many variables to consider, ranging from mechanical limitations to available water pressure. We also survey your landscape to determine your watering needs. Then we design a system that has the characteristics you want and provide you with a detailed quote based on the layout and required equipment. Rain Masters' installation process is time-tested and delivers proven results. We design to meet the consumers' needs without product compromise. Installations are conducted by a professional crew who is meticulous about care and cleanliness at your property. Customer satisfaction and system quality are our main objectives. We use top-rated products with high-quality components for all of our systems, and all installations are covered by a one-year warranty on parts and labor. The conveniences of an automatic irrigation system come along with the necessity for maintenance and repair. Whether you need seasonal maintenance, simple or complex repairs, or a total overhaul, RainMasters has you covered. Service is one of the cornerstones of our business. All the replacement parts we use are of the highest quality, and each part is performance-matched to the original equipment being repaired or overhauled. Service is scheduled and completed promptly and comes with a one-year warranty on parts and labor. Extend the life of your system by scheduling professional maintenance in the spring and fall. We winterize your system in the fall to prepare it for cold weather and start it up again in the spring. Many clients come back to us year after year for our seasonal services, and we consider them to be part of our extended family. Irrigation technology has made many advances in recent years. We upgrade and adjust old systems to deliver better performance and improve water conservation. We also fix improper installations that are causing dry or oversaturated areas in your yard. These adjustments make existing systems more water efficient while delivering better results.